Chasubles and Chalices: Can't make Our Lady's Solemn Novena? Can't make Our Lady's Solemn Novena? Then leave a comment with your petition in it! Of course if you want to leave it anonymously that is fine. I will write them out and put them in the petition box. 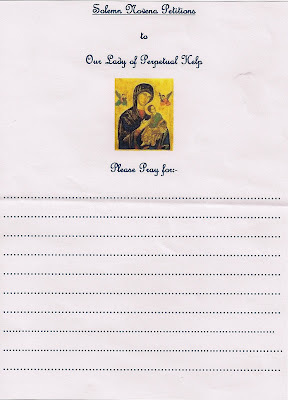 Be assured that Our Lady of Perpetual Succour will hear and answer (it might not be in the way you expect!) your prayers. Don't forget to send your Guardian Angels to Mass if it's too far for you to come or if you can't make it. 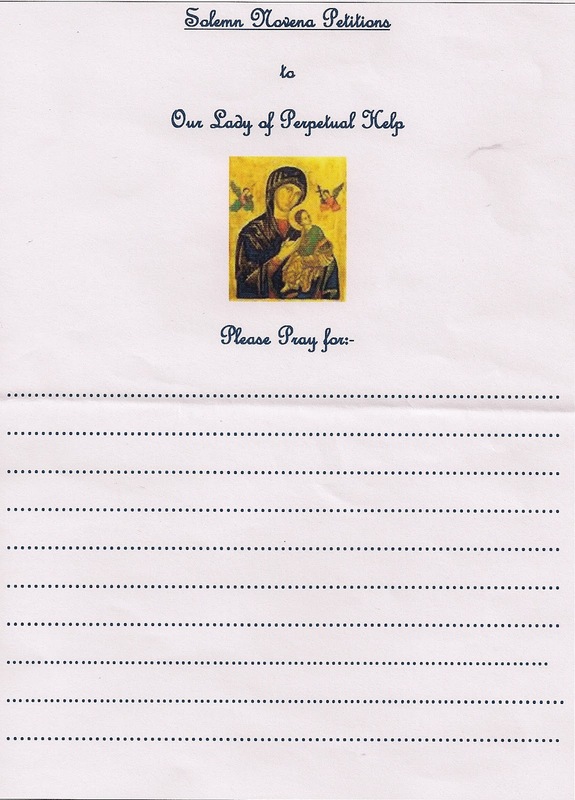 Dear Anonymous, your intention will be in Our Lady's petition box tomorrow evening for the start of the novena.